Photographer James P Campbell led an adventurous, creative life. Much of his work has gone unnoticed or has not been attributed to him. During a career stretching from the 1890s to the 1930s he was present with his camera at a number of important events in Australian and world history, some of which are still in the news today. He bicycled through the Victorian Alps capturing its scenic delights, produced images to promote Australia abroad, photographed the everyday activities of soldiers on Gallipoli, recorded the involvement of the Australian Light Horse in the Middle East, and documented the growth of the SEC and Yallourn under Sir John Monash. He pursued photography as art, often to his own detriment. The resultant portfolio of images can be found in public and private collections throughout Australia and no doubt beyond. This is the story of Campbell's life and substantial photographic legacy. Alan Harding grew up on a small dairy farm in the Latrobe Valley, He has completed a Bachelor of Arts degree at the Gippsland Institute of Advanced Education, Churchill (later Monash, now Federation University), majoring in sociology, but acquiring a lasting interest in Australian history and literature. 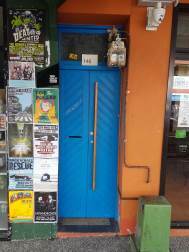 After eighteen years employed as a public servant with the Commonwealth Employment Service in Morwell, Lalor and Seymour, he wrote a history of Toongabbie, Victoria. 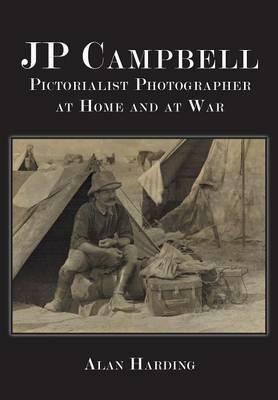 He then returned to study, completing a doctorate by research as an external student of Monash University, Gippsland, on a biography of photographer JP Campbell.